Are you on iOS8? I don`t know if you have noticed tis or not but a large number of Apple usres are reporting in support forums an issue with iOS 8 and the time zones of synced calendar events. This error is known as "GMT bug". It is causing confusion as calendar events see a secondary time zone added on. A new thread started in Apple support forum after the release of iOS 8 regarding this issue. It has gained so much attention as many users are facing the same issue. In this erroe calender events created for one time zone automatically converted to other time zone. 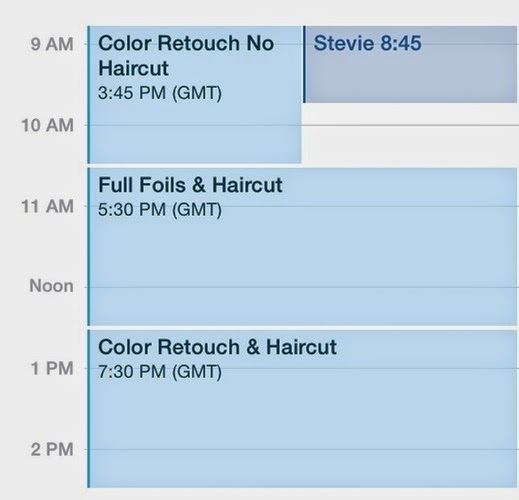 Most affected appointments are from default iOS calender app of Google or Microsoft Exchange. In this actual time setting becomes defined in GMT, which can cause issues, if you edit entry without checking the timezone. There is a conflict on this issue that is it a bug or not. Apple said that till now they haven been reported by only one user and they are working to fix this issue and they told others that it is just and expected behavior. The issue is elated to "Time Zone Override" setting in iOS 8. This setting allows users to maintain a consistent time zone even if they travel to different time zones, but automatically change of tie zone is creating issues. Last update of iOS version 8.1.2 came December with a fix for disappearing ringtones. Developers are also using iOS 8.2 betas, which was released last week. Do share if you are facing GMT bug issues. or any other issues with your iOS device. If you find this article useful, do share on facebook, twitter and Google plus. Don`t forget to like us on facebook and subscribe CydiaApple newsletter to get free updates.